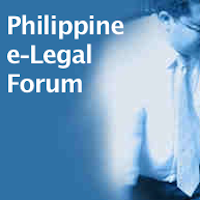 One of the more popular posts in this Forum is Annulment, Divorce and Legal Separation in the Philippines: Questions and Answers. It’s time we collate other common issues relating to this topic. When we speak of the “annulment process”, we’re using it in a general sense to include both a petition for annulment and a petition for declaration of nullity (the difference between the two was already discussed in Part I). Should I seek an annulment? This is a personal decision that should not be taken lightly. While divorce is not allowed in the Philippines, the fact that the law provides for annulment means that there are meritorious instances that would justify the annulment of marriage. What specifically is the role of the Solicitor General in the process of annulment? Is it true that the SolGen is often the source of delay? The Solicitor General is authorized to intervene and take part in the proceedings for annulment and declaration of nullity of marriages before the RTC and on appeal to higher courts.The Solicitor General is the principal law officer and legal defender of the land. His intervention in the proceedings ensures that the interest of the State is represented and protected in proceedings for annulment and declaration of nullity of marriages by preventing collusion between the parties, or the fabrication or suppression of evidence. This is the express pronouncement of the Supreme Court. The SolGen may or may not appeal an annulment decision, and such decision is within its authority. In other words, it’s not true, and unfair to say, that the SolGen is the cause of delay. How long does an annulment process usually take? The entire process could take less than a year or, if you’re unfortunate, years. There are so many factors that could delay the proceedings. You and your lawyer must be vigilant in making sure that the proceedings go smoothly. This is a difficult question, primarily because there are so many variations. If you have absolutely limited resources, you could file the petition as a pauper litigant (for filing fees) and seek free legal aid (discussed below). If you engage the services of a private lawyer, the entire process may cost you at least Fifty Thousand Pesos (PhP50,000). I have a limited amount of money. Where can I seek legal aid? There are certain institutions where you could seek free legal assistance. Start with the Public Attorney’s Office (PAO), although they may or may not accept your case, depending on their load (they’re usually overloaded with cases). The Integrated Bar of the Philippines (IBP) and certain law schools, provide free legal aid. Remember, however, that your request may be denied because there are other important cases handled by these institutions. How can I verify if my lawyer really filed the petition in court or if a decision was really issued? Can I obtain a copy of the decision? You may ask your lawyer to provide you with a copy of all documents (motions, pleadings, orders, decisions, etc.) relating to your case. The photocopying cost, of course, will be charged to you. In any case, you could always request to photocopy the record with the court where the petition was filed. If there’s already a decision annulling my marriage, but the decision is appealed by the Office of the Solicitor General, is it ok to remarry? No. Unless and until the decision in your favor becomes final and executory (no motion for reconsideration or appeal was filed) and the other requisites have been complied with, you can’t remarry. If you can’t find the answers here, please refer to Part I, Part III, Part IV, Part V, or other related posts. You can check the Related Posts at the bottom of each post. You can also use the Search function (also in the right sidebar). Itatanong ko lmg po kung pwede na bang magpakasl.if hiwalay na ang partner sa dating asawa fot 23 years? pwde po ba yun kahit walang annulment? Gusto ko lang po itanong, anu po pwede gawing grounds pag ang asawa ay nasa abroad at ngkaroon dun ng babae den nagkaanak na po sila, hndi po nagsusustento ang asawa q sa anak nmin..gusto q na po maipa-annul ang kasal nmin un nga lang po ay wala aq budget para sa halaga ng annulment..wala po ba nun na free, or maybe kahit po ung mura lang? I have been abandoned and separated by my ex husband for 22 years.. those days i supported my only son receiving no single centavo from his father… do i still need to file a nullity of marriage in the court so i can get my certificate of no marriage from the NSO and re marry? paano po mgpannul kasi po matagal na kami po hiwalay.may kinakasama na po ngayon.sana matulungan nyo po ako kasi po gusto ko pong mawalan ng visa un kasal namin. Hi Atty! Good day! I hope i can get some advices from you. Me and my husband are now separated for more than one year. I was married at the aged of 21 yrs old because i got pregnant with my first baby and now we do have 2 child. At the time that I got pregnant of my first child, i really do not want to be married. My aunt who wants me to marry because that im pregnant, i said NO but she push me to marry even though i said NO again and im crying because of i dont want to. My aunt believes that time, that my husband could work as a seaman so she said that i should secure my future for my child, and she said that my child will not bear the surname of the father if will not get married. But, it is allowed that my child can bear her fathers surname even without marriage. So now, were separated because i see that i have no future with him coz he had no effort to do so. For how many times we had fight, we misunderstand each other now. I push him to go abroad or to look for another secured job but he had no effort at all. I encouraged him everyday but i see that he doesnt want to. Then, my son was admitted to the hospital because of pheumonia after we billed out and doesnt care that im struggling to all the debts including hospital bill. So i made a mistakes that i did not push my decisions that i want not to marry him. Please help atty if could file an annulment. I did gave him manu chances. So now i will made my decisions now that i want to. Ilang years ang hihintayin pa nyan bago lumabas ang Finality Certificate?.. wala bang timeline ang cases sa Pinas? Wala bang action na mapabilis ang paglabas ng Finality? Ilang beses ba mag aapila ang Solicitors General sa decision bago lumabas ang finality?.. 1. We were married in 2000 in the Church and have 3 children. 2. She went to Europe in 2004 with our two children, her whole family( parents, brothers and sisters), and have applied there as Permanent Resident. 4. I often visited them there in Europe every year from 2004 to 2007 and we evening bore a the thirteen Child in 2004, and 2007 was my last visit because she did not wanted my visa to be renewed. 5. She coohabited and bore a Child in 2010 in Europe. 6. Eversince, she does not want to come home to the Philippines for our marital reunion. 1) given the above circumstances, can I be qualified to file for divorce? 2) despite both parties advice that she come home for peace talk although she have already another Child from Other man, can I use this ground as another aggravating evidence for annulment? Thanks Atty and hoping for your answer. seeking advise here, I am currently in Doha, Qatar. I would like to know if it’s possible to ask someone to get a copy of annulment decision in RTC laguna? If so, what is the requirements? Hiwalay na po kmi ng asawa ko for 4yrs at mag pamilya na po syang iba.. may anak din po kami isa.. gusto ko po mag pawalang bisa ang kasal nmin.. anu po pwedi ko g gawin. He?o po sir..paano ba ako mg file ng annulment of marriage andito po ako sa cyprus 10yrs n po kaming hiwalay may ibang pamilya na po sxa..gusgo ko sanang ma annul na ang kasal namin..please help mo nmn ako..
Gud pm sir bakit po sa ibang lugar almost 200k bayad magkanu po tlaga mag pa unallment..pls help me po..gusto ko po sana mag pa unallment. Good evening po sa lahat. I would like to seek any help and advices po kung sino man po ang pwede mag advice and makatulong po sa akin. I got married to a Filipino citizen po on January 2009 through a civil wedding po. Then, during that day of the wedding, we forgot to signed the marriage license. • now, I want to get out from the marriage, what should be the process for my case? • is there any decent lawyer that can help me to resolve my case? •how long will it takes to get things done? •does it takes time same as the common annulment case? •to be honest, I am quite frustrated already because I wanted to get out from my marriage license thing and moved on with my life! For those who are suffering like me, I feel you! We hope that these agonies of ours will be resolved as soon as possible.